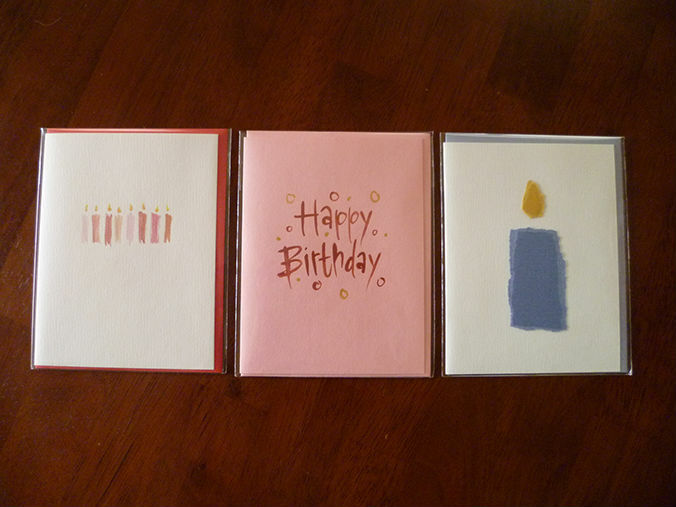 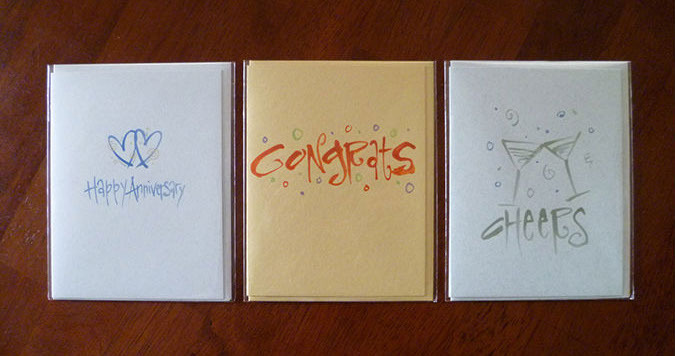 Every card is blank inside and awaits your personalized greeting. 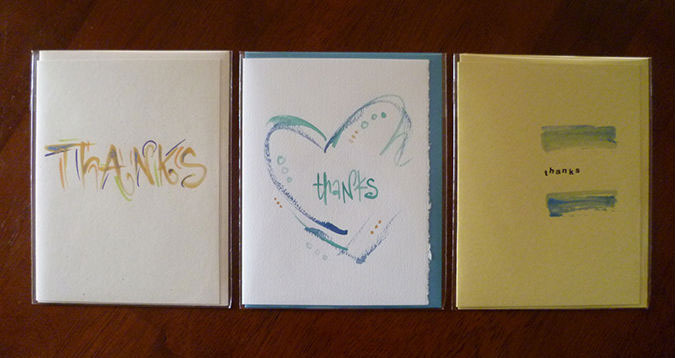 All items are protected inside an acetate sleeve to avoid inadvertant damage prior to purchase. 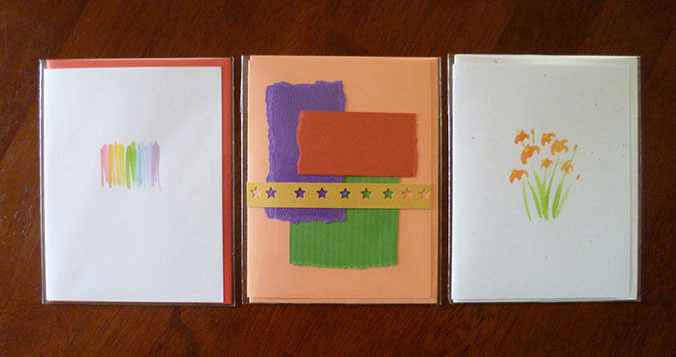 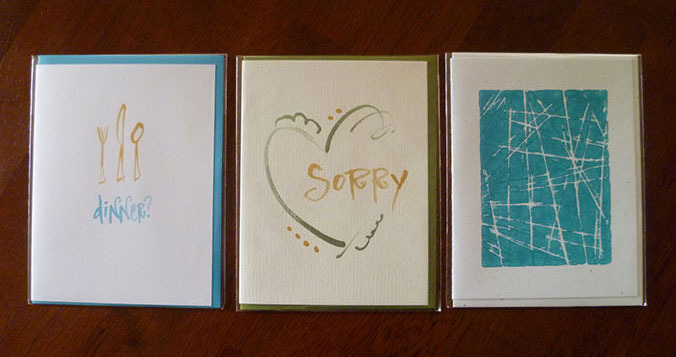 Here is a sampling of one card shy designs, all packaged up and ready to go!